When I was a boy fishing in the Rocky Mountains I thought nothing about biting down on lead split shot sinkers so I could cast my worms into the lake; but that doesn’t mean I’m going to teach my kids that biting lead is a good idea. The science is clear that lead is a potent toxin. It is toxic to humans and animals. There is no safe amount of lead exposure. Paint doesn’t have lead anymore. Nor solder for copper pipes. Neither does gasoline. Since the late 70s it has been illegal to hunt waterfowl with lead shot. When the non-toxic shot laws were originally created I’m sure that gun rights advocates (like I am) decried this as the first step to ban all shotgun ammunition or all waterfowl hunting. The result instead has been near universal acceptance of non-toxic shot as the right choice for waterfowl hunting. Things change, and in the case of getting the lead out of our lives, change is a good thing. This progression doesn’t represent an erosion of constitutional rights, but the logical response to new information. I hunted with jacketed lead bullets for 10 years. 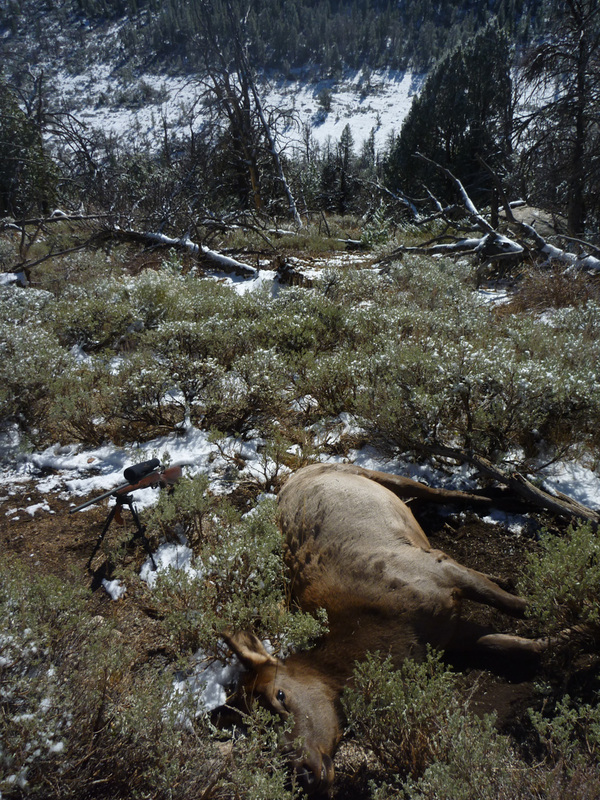 Three years ago I found the first lead-free factory-loaded ammunition for my elk rifle – a 7mm Remington Magnum. The Barnes VOR-TX is made with a 140 grain solid copper bullet – a little lighter than the 165 grain lead bullets I had hunted with. I took a box to the range to be sure they shot well from my rifle. I had very satisfactory results with groups that were only limited by my ability to shoot. In two hunting seasons since, I have shot at and harvested four animals with lead free bullets: two white tail deer with a .243 and two elk with my 7mm. The bullets’ stopping power was indistinguishable from the lead bullets I have used for years. A box of Barnes lead free factory loads costs only a few dollars more than comparable quality lead ammo. Hunting with lead free ammunition sends the message that you as a sportsperson care about your health, your family’s health, and the health of the environment. It shows that you are a responsible hunter who wants to pass on your hunting traditions more than you need to cling to which specific metal your bullets are cast from. Hunters have a long history of supporting and leading wildlife conservation efforts. This is an easy issue where we can be leaders. There are excellent ammo alternatives for lead, whatever you hunt. Let’s show that we can get the lead out of hunting, for wildlife, for the environment and for our health. I will pass this on to my hunter friend. He may have already gone lead-free, as he is a big supporter of the environment. Glad to be of help in this important endeavor. Hi Gloria, thanks for your comment and willingness to pass this article along to your hunter friend and to spread the word! Also as a mom preparing wild meat for my family, I think this issue is hugely important.